Can you feel the chill in the air? See the leaves changing color? Smell that pumpkin pie in the oven? Yep, there’s no doubt that Fall is here. And with the changing of the seasons comes a need for a new, more Autumn-y wardrobe. Or at least that’s what my fashion-forward friends tell me. Personally, my preparation for these short, chilly days doesn’t go much further than digging my mitts and scarf out of the closet. But no matter how you personally prepare for Fall, I bet you’d be glad to have an extra $10,000 to spend! And you can, if you win our next $10,000 draw here at Silver Oak Online Casino. And by next, I mean our October draw. 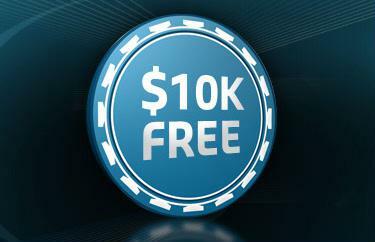 We give away $10,000 in free casino cash every single month, including this month of course. And it’s easy to qualify. In fact, you may have already qualified for this month’s draw. Every player at Silver Oak can qualify to win, just by making two cash deposits of at least $30 within a calendar month. So to get your name in the hat for the October draw, make those two deposits by the end of the month. Once you’ve signed up, you can take advantage of our easy and fast deposit options. But before you make your first deposit, be sure to find a deposit bonus to get the most from your money. We have lots to choose from, including one that will more than double your money!